LOCATION! LOCATION! LOCATION! What an incredible villa in a beautiful setting with lots of trees and green space!! This is such a great location since it is just so close to everything including within walking distance to all of the great shows at Ruth Eckerd Hall, and in very close proximity to 'quaint downtown Safety Harbor, the airport, restaurants and lots of shopping! 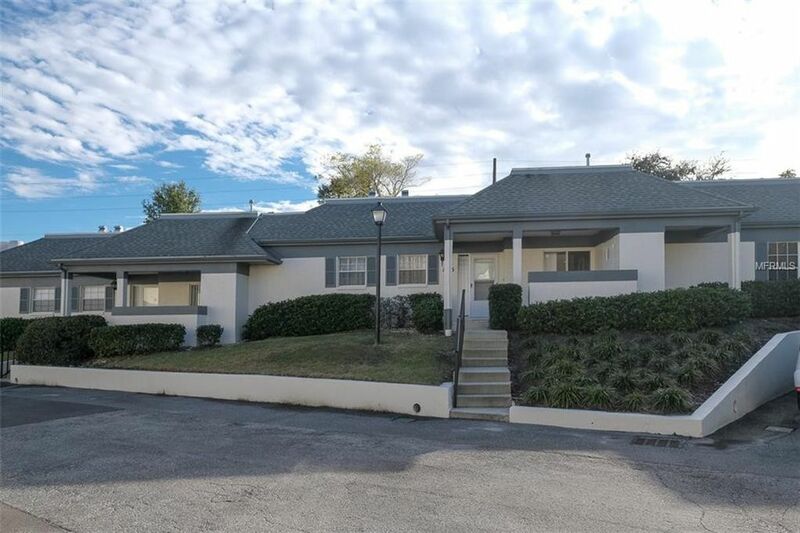 This one story unit boasts two very spacious (split) bedrooms with lots and lots of closet space, two updated bathrooms , volume ceilings, a remodeled enclosed Florida room, and a large eat-in kitchen with breakfast bar. The enclosed Florida room offers an additional 200 sq ft of living space w/ tile flooring, A/C and French doors which could be used as an office, den or bonus room, so this unit appears much larger than the tax records indicate. Other features include a utility closet for extra storage, plus a covered carport. The community provides some additional guest parking, community pool, a recreation building , fitness center and tennis courts!! Available for a fast closing, so don't miss out on a great opportunity. Make an appointment today!